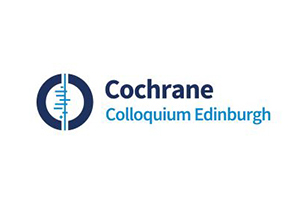 The 2018 Cochrane Colloquium will be held in Edinburgh at the International Conference Centre in Scotland from 16-18 September 2018. It will be hosted by Cochrane UK. Under the theme “Cochrane for all – better evidence for better health decisions”, this will be a Colloquium for everyone. It will welcome newcomers to Cochrane from all parts of the world and from all backgrounds. One of the key aims is to increase the involvement of patients, carers and family members (healthcare consumers) in our work. As such, the Colloquium 2018 will be a Patients Included event that is co-designed, co-produced and co-presented by healthcare consumers and where everyone’s input is valued equally. Several MiRoR fellows and supervisors are attending this meeting: meet us there!